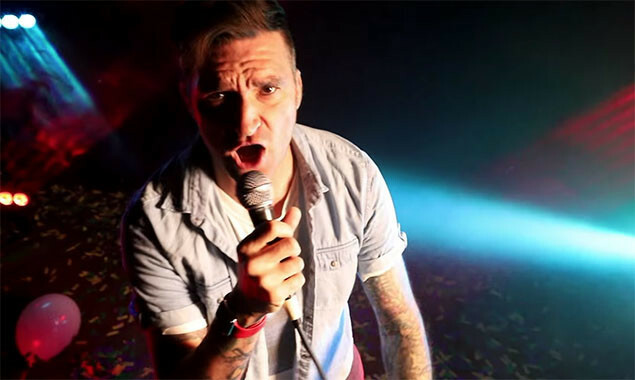 New Found Glory have dropped a video for their song 'Barbed Wire'. They have also revealed that they are set to hit the studio to record their third installment of 'From The Screen To Your Stereo'! "These last couple years have been some of New Found Glory's best! We released our 9th full length album “Makes Me Sick”, toured the world celebrating the 20 Year Anniversary of our band, headlined the Sick Tour across the US, and just closed out the final Warped Tour shows in our home state of Florida. We want to thank all you die hard NFG fans and supporters. If you missed out on those final 3 Warped dates, we just put the rest of the limited edition merch we made for those shows on our web store newfoundglorystuff.com. Unfortunately for some people we have some bad news. This party isn’t stopping. For every year that goes by, the more we value just how lucky we are to do what we do! There’s so much more fun in the works in the world of New Found Glory! This fall we will be completing the Trilogy! We’ll be heading into the studio to record From The Screen To Your Stereo Part 3 where we cover theme songs from movies, some classic and some annoying, and make them our style! If you saw us on the Sick Tour in the spring then you already heard our cover of "Eye Of The Tiger” from Rocky 3. We aren’t going to spoil the rest just yet! But before we go off and start working on that we want to present a video for one of our most loved songs from Makes Me Sick, "Barbed Wire”! We hope you enjoy!" As the lads said, the track can be found on their latest album 'Makes Me Sick' which is out now via Hopeless Records. And as a taste for what to expect from 'From The Screen To Your Stereo Part 3', here's 'Kiss Me' from Part 2. Hi Hayley Williams!